Create a beautiful paper quilled scene! Create this charming scene with the ease of an adhesive surface and no glue! 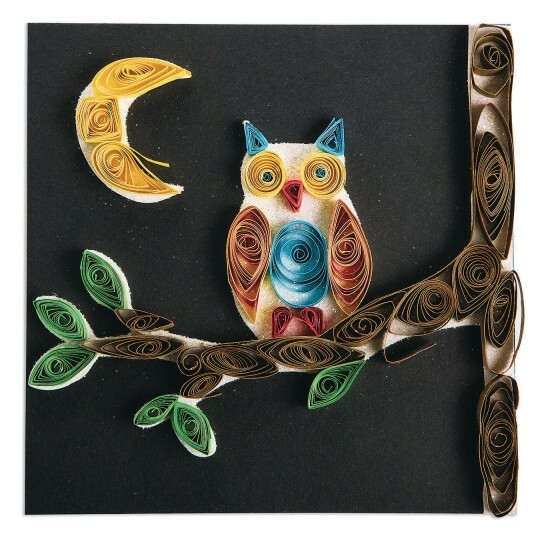 Create a beautiful paper quilled scene of an owl under the moonlight, with the ease of an adhesive surface and no glue! 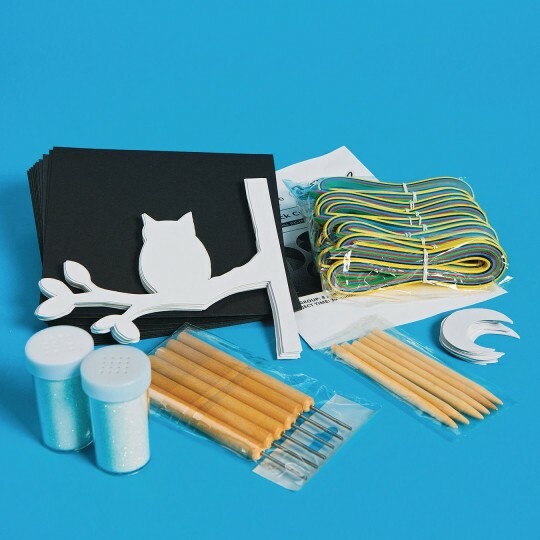 Owl and moon design, along with 6” square black chipboard base, assorted color paper strips, reusable slot quilling tools, wood quill tools, detailed activity guide, and instructions. Iridescent glitter is included to give your finished quilled design extra sparkle. Finished project measures 6” square.